The Westcott Scrim Jim Reflector System is a strong, collapsible diffusion and reflector system. The 240 x 240cm frame is made of light-weight aircraft aluminum. 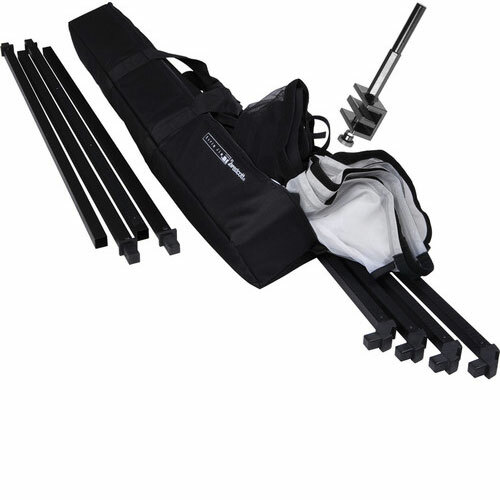 The kit includes silver/white reversible fabric, a universal clamp, 3/4-stop white diffusion fabric and a kit bag. Westcott Scrim Jim large 240x240cm reflector is available for rent or hire from RENTaCAM Sydney.